Written to the SQL:2006 ANSI/ISO standard, this easy-to-follow guide will get you started programming in SQL right away. You will learn how to retrieve, insert, update, and delete database data, and perform management and administrative functions. 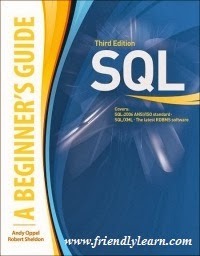 SQL: A Beginner's Guide, Third Edition covers new features, including SQL/XML, and is loaded with updated SQL examples along with notes on using them with the latest RDBMS software versions such as MySQL 5.0, SQL Server 2008, and Oracle Database 11g.